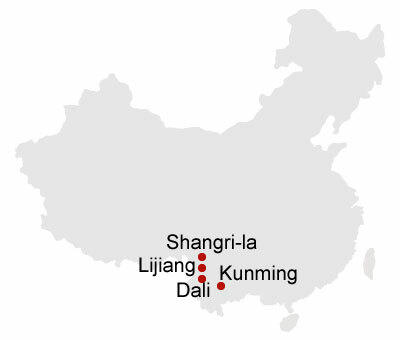 The best way to travel through Kunming, Dali, Lijiang and Shangri-la is by train. 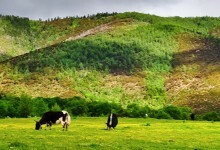 Take a train from Kunming to Dali, enjoy the beautiful scenery along the way. 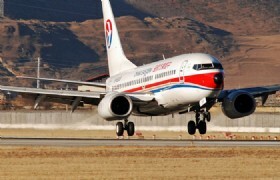 Detailed Itinerary: Arrive in Kunming and you will be greeted by our tour guide in the airport or train station who will be holding a sign with your name. A comfortable vehicle and experienced driver will transfer you directly to your hotel. Your guide will assist you with checking in. The rest of today free for your own explorationg of this beautiful city. 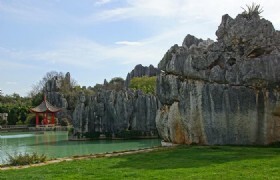 Detailed Itinerary: Guide will meet you at the hotel lobby and then transfer you to visit Stone Forest, which is the World Karst Gem, Hometown of Ashima. You will have lunch there. 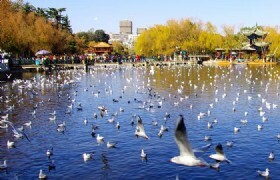 Transfer back to Kunming downtown, visit Green Lake Park, an urban park which was created in the 17th century on the west side of the Wuhua Mountain in Kunming. You will also pay a visit to the Flower and Bird Market. 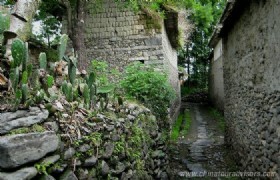 You will then board an overnight train to Dali. 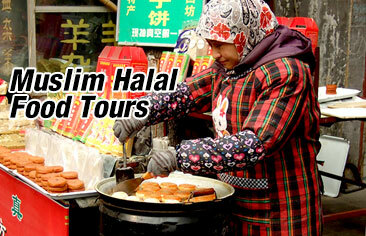 Detailed Itinerary: Guide will meet you at the train station upon arrival in the morning. 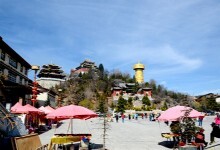 After settlings things down at Ancient city of Dali, you will visit the Three pagodas in Chongshen Monastery which has a History of over 1,800 years located at the foot of Cangshan Mountain facing to the Erhai Lake. 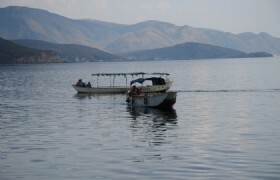 After lunch, you’ll cruise in Erhai Lake by the small boat to the Jinsuo Islet in the east Erhai Lake. 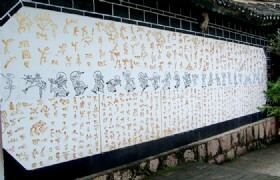 There are 200 Bai ethnic families around 1,000 people in Jinsuo Island. 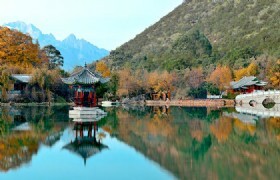 On Erhai Lake cruise, you will enjoy the green Cangshan Mountain and the Three Pagodas from a far as well as lots of birds and seagulls flying over the lake. 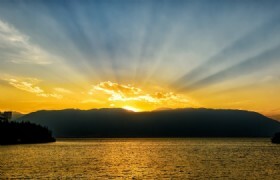 Erhai Lake: Erhai Lake, named after its ear-shape, is one of the seven biggest fresh water lakes in China. 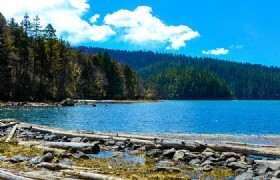 The beautiful scenery and limpid waters of Erhai Lake are very charming and attractive. 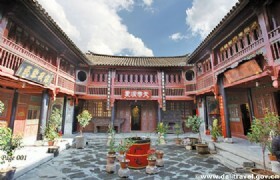 Detailed Itinerary: Explore Dali Ancient Town in the early morning, you will head for Xizhou Village and fully appreciate the Bai-style traditional architectural courtyards, taste their fragrant Three-Course Tea and explore their distinctive culture. Visit Zhoucheng Village and the Bai people's Tie-dying cloth workshop where you can take some special souvenir with the Bai ethnic style. At last, you will visit the Ancient Dali Town, walk around the Foreigner Street and enjoy the relax time with local people. 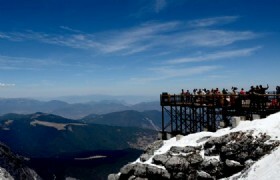 After climbing up to the City Wall of Dali, you will have panoramic view of the Erhai Lake. 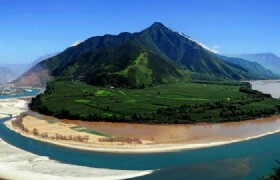 Then drive is about 180 kilometers to Lijiang with the beautiful farmlands and ethnic villages on the way. After lunch you’ll head for the scenic Black Dragon Pool and the Dongba Museum to explore the rich Naxi minority culture. 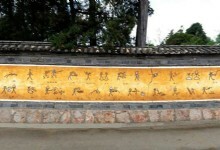 Detailed Itinerary: Pay a visit to the Mural in Baisha Village in the morning, the Murals there combine the cultures of Han, Tibet, Naxi together, displaying the life stories of the Tibet Buddhism, Confucian and Taoism. 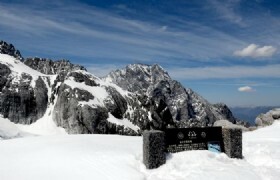 Then transfer you ot visit The Yulong Snow Mountain. It is also called Jade Dragon Snow Mountain and now is a famous scenic spot for sightseeing, mountaineering, skiing, exploration, scientific research and taking holiday. Detailed Itinerary: Drive 50km to the First Bend of Yangtze River, the Yangtze River Bend, as its name denotes, is the spot where the south running river suddenly turns northward due to changes in the shape of the nearby mountain ranges which form a mammoth V shape at this spot. 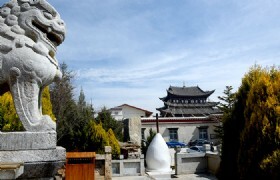 Then visit Stone Drum Tower, owning a Memorial Monument of Red Army’s Long March, and been an important site in the ancient times of Tea-Horse trade caravan. Finally, visit Tiger Leaping Gorge. 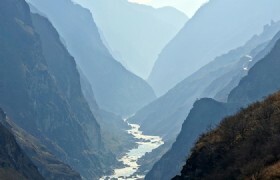 Being one of world famous grand canyons, Tiger-Leaping Gorge Scenic Spot is the best destination for exploration and self-challenge for its profundity, steepness, beauty and uniqueness. 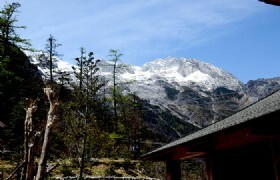 Then drive to Shangri-la and check in hotel. Detailed Itinerary: In the morning, visit the Ganden Songzanlin Lamasery, the largest Tibetan monastery in Yunnan. Songzanlin Monastery has another alias - 'the little Potala Palace', so named because the whole monastery is in the traditional style with mysterious atmosphere. Afterwards, you'll visit the tranquil Bita Lake & Shudu Lake in Pudacuo National Park. Pudacuo National Park is located in one of the most biologically-diverse regions of the world. While the region comprises only 0.7 percent of China's land area, it contains more than 20 percent of the country's plant species, about one-third of its mammal and bird species and almost 100 endangered species. 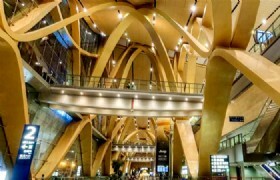 Detailed Itinerary: You are free for leisure until transfer to airport to take flight for your next destination (excluding flights). Transfers: Transfers between airports, hotels and scenic spots while sightseeing, by private air conditioned vehicle with a driver and English-speaking guide. 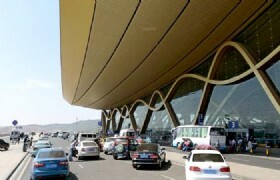 Train tickets: from Kunming to Dali (soft sleeper). 7 Nights Hotel accommodation based on twin share.